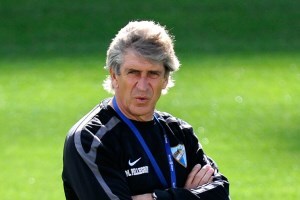 Reports are out claiming that Malaga coach Manuel Pellegrini has rejected an approach from Chelsea. The Sun claimd that the 59 year old is on the Blues’ hit-list of candidates to replace interim manager Rafa Benitez. However the Chilean has made it clear he wants to make the La Liga outfit a major force — despite the fact they have not kept up-to-date with his wages. Pellegrini said: “I’m not looking to change club. “My main objective is to finish my contract with Malaga and continue the work we have started. “In the Champions League quarter-final against Dortmund I think we showed that Malaga was one of the top four teams in Europe.